D5310 & 6940, Carrog, Sat 27 August 2011 - 1347. 6940 waits to leave with the 1400 Llangollen, which 7822 Foxcote Manor should have worked. 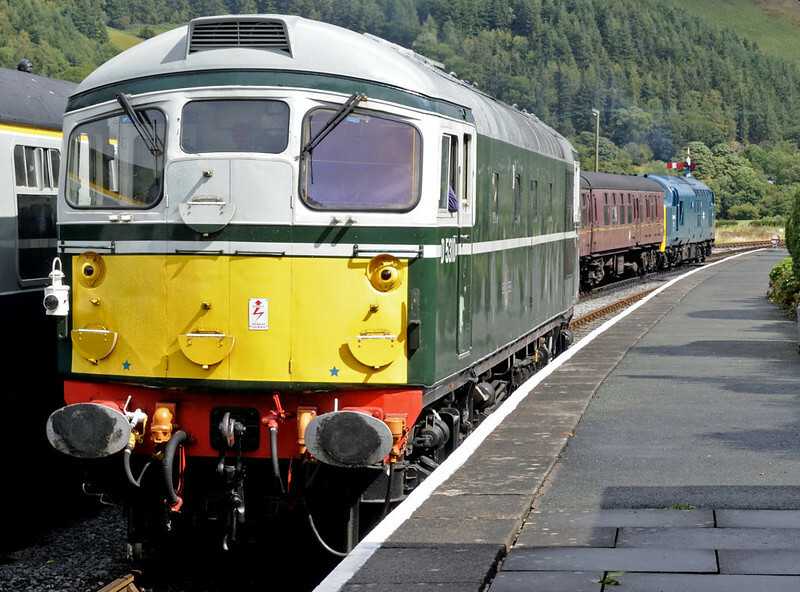 D5310 had worked the 1300 from Llangollen, for which 6940 had been booked.